Disclaimer: I had the opportunity to sign up for Sweat Tracker Performance Package to review as part of being a BibRave Pro. Learn more about becoming a BibRave Pro (ambassador), and check out BibRave.com to review, find, and write race reviews! As most of you already know, I am in the process of training for the Chicago Marathon. 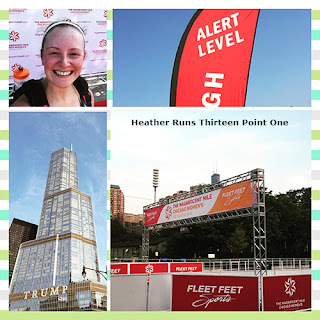 I was quite anxious about figuring out a plan (since my first marathon was part of the Dopey Challenge back in January, and I just followed the Galloway runDisney plan for it). I could have tried to put something together, but really... what do I know about putting together a plan for a marathon?! Nothing. In comes BibRave and Sweat Tracker. 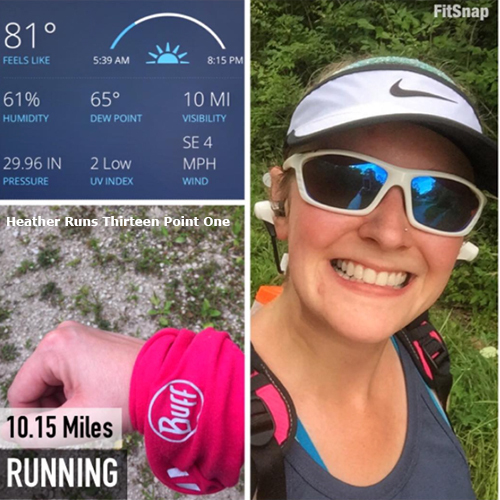 I was SO thankful to receive the chance to work with Sweat Tracker as part of the BibRave Pro program, and it came at the perfect time. Obviously, the marathon hasn't happened yet (it's in October), so I'll have some more to write once that's over. Receiving a custom training plan was a fantastic way for me to train for the marathon and improve on my running (my speed for short runs has improved drastically). Not that we were focusing on speed at all, but it was a great side effect. A little background about the company: They are based in California, and offer online coaching and training plans for all types of runners. They can help you with a training plan to improve performance, or to help with coming back post-injury. Their goal is to help you with YOUR goal, and to keep you injury-free while doing so. You have the option (for an extra cost) to provide video of your running form so your coach can help you improve. You're also encouraged to interact with your coach often - via text or email. First off, I filled out the questions on the Sweat Tracker website to help them figure out the best way to approach the plan. I specified how many miles/days a week I was currently running, what my longest run or race has been, what my goals for the upcoming race were, pace of my last race, etc. Larry, the owner, has also been very involved with the process. He emails to check in and make sure everything is going ok, and he is always interested in what I have to say – he wants all feedback, whether positive or negative (I honestly have nothing negative to say about any of it). I've really appreciated how active he's been with keeping in contact to see how everything's been. On Sundays, I receive an email with my weekly plan. Then, each day, I receive an email with the days running or activity along with the next day's plan. They have a link to stretches and foam rolling exercises, which I found helpful. Once I would get my emails on Sundays, I would put the schedule into my calendar, so I knew by looking at iCal what the plan was for the week. I wouldn't say that I need a daily email, but it is a helpful reminder (as well as motivation). 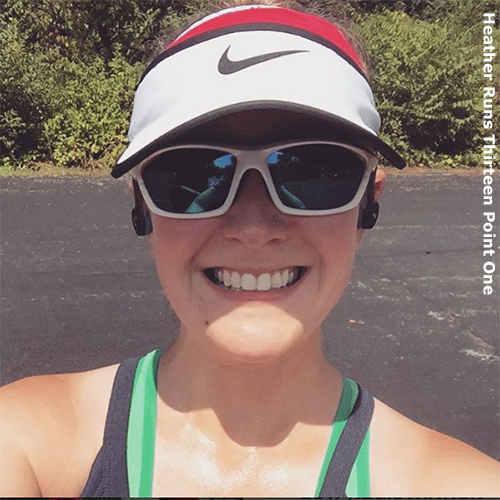 I found that I didn't want to skip runs or be lazy, because I didn't want to let my coach down. I wanted to work hard and was being kept accountable by having someone to answer to. That being said, I also found her to be very understanding. If I cut a run short because I couldn't stand the heat any longer, or because it was dark out and I couldn't see the sidewalk - she wasn't blasting me for being lazy or anything like that. Honestly, I was always a little down on myself if I couldn't finish the scheduled mileage, but she always made me feel better. She was all about being safe and running smart. If my knee was hurting, better to stop than to keep running and injure it further. Speaking of my knee injury, it was getting worse, and I had trouble with my long runs (I couldn't finish them due to pain), she asked me how I felt about taking a week off. Like her, I thought it would be a good idea. She assured me that we were far enough out from the marathon that a week off wouldn't harm the training, but give me the time to heal. It was an EXCELLENT idea, as I came back the following week with little to no pain, and have been doing well since (this was approximately 3 weeks ago). I even managed 19 miles today, and though I was quite tired by the end, my knee was feeling good. 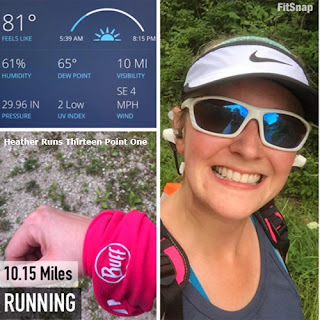 My training began with 2 miles on Tuesday, Wednesday, and Thursday and Conversation Pace, 10 miles on Saturday for my long run, and then resting/stretching/rolling on Monday, Friday, and Sunday. The long runs would increase by 1 mile each week. 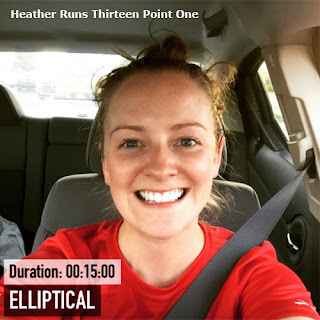 I wanted to incorporate some cross-training as well, so Larry and Coach Val adjusted my schedule to 3 miles at CP on Tuesdays and Thursdays, Elliptical on Wednesday (beginning with 15 mins and increasing 5 minutes each week), and core workouts on Fridays. My gym didn't have any core/ab classes on Fridays, so I downloaded an app, had Coach take a look at it and approve, and used it for my workouts on Fridays. 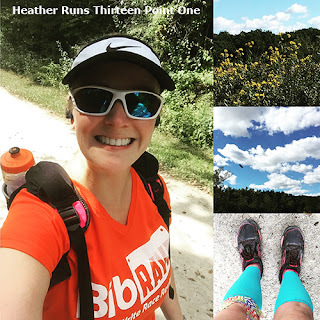 We are about a month out from the marathon, and while I am feeling a bit anxious about finishing 26.2 miles, I feel like my training will get me to that finish line. I really appreciate all of the support Coach Val and Larry have given me - when I've had an off day or am just feeling down, they have such encouraging words that help lift me up and help me to believe it's an attainable goal. I'm mostly nervous about the weather... Chicago is notorious for being all over the place for the marathon weather wise. Some years it's freezing, others it's so hot a lot of people don't finish. Keep your fingers crossed we get 50s like last year! I'm also nervous about keeping that 15 minute mile pace. I did well being under that today until the last 3 miles, but I'm hoping that on race day the adrenaline and cheers from the crowd help push me forward. One foot at a time, right? Some scenes from today's 19 mile trail run. 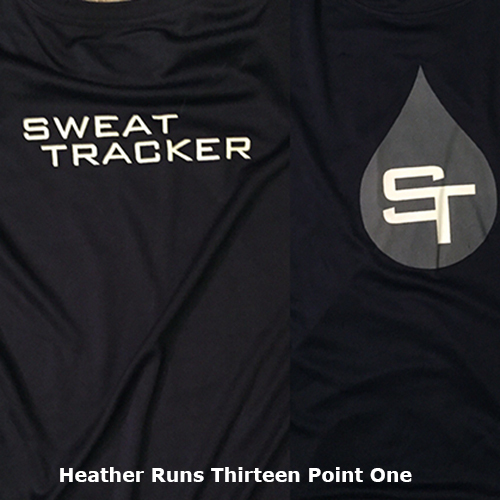 I am so happy to have had the opportunity to work with Sweat Tracker and one of their awesome coaches. Her support has really helped me to keep pushing myself to be a better runner. My short runs have definitely improved my speed, and I KNOW it's because of my training with Coach Val. She's the bomb. Also, Larry sent me a New Balance Sweat Tracker tech shirt. I think that was super cool of him. Also, on their social media accounts, they do these fun little tiles for your races - congratulating the runners they work with on their races. I think that's really special and cool (even though none of my races had finish times to write home about, I'm hoping it helped inspire others that might be slower like me to feel proud of themselves - we are out there getting it done the best we can! I'm doing better than I used to (unless it's 90 degrees outside, then I just take it easy) and I'm proud of my hard work and accomplishments. If you're looking to work with a coach (which I highly suggest you try if you haven't yet), I would of course suggest the good folks at Sweat Tracker. They're looking our for your best interested, keeping you injury free and helping you to reach your goals. I seriously am so happy to have worked with them (and will continue to until marathon day, which is rapidly approaching! Eeks!). 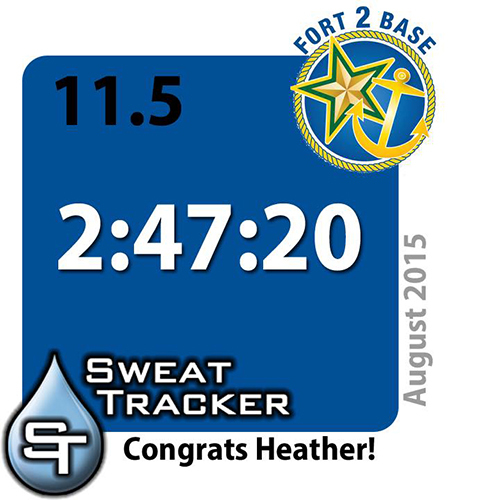 Thanks Sweat Tracker for being awesome! I'm certain that I'll be using them again for another training cycle (perhaps to PR my half marathon time...). I'll check back in with you all post-marathon to let you know how training finished up and how the race went. Wish me luck! Great job in your marathon training. Sounds like the sweat tracker is working out for you. Is it an app you download?